Our Center Director, Jairo Diaz, awarding a certificate of appreciate to our very own Francisco Maciel for his 15 years of distinguished service with the University of California. Francisco is currently a Staff Research Associate here at the Desert Research and Extension Center in Holtville, CA. 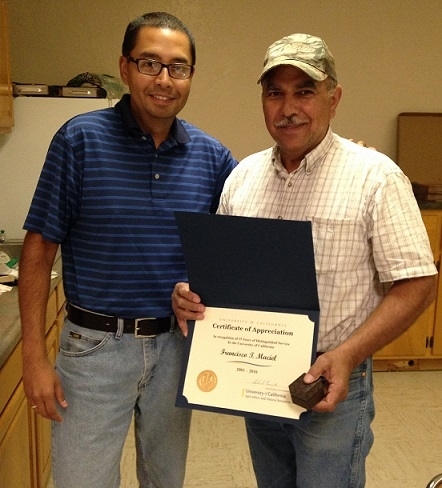 Thank you for all you do Francisco and here's to many mores years with us at the Desert Research and Extension Center.